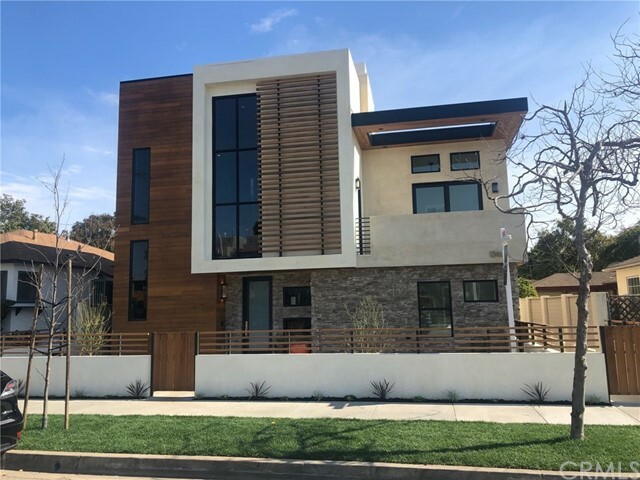 All Culver City homes currently listed for sale in Culver City as of 04/26/2019 are shown below. You can change the search criteria at any time by pressing the 'Change Search' button below. "NEW CONSTRUCTION in the prestigious Sunkist Park area on a prime corner lot with park like greenbelt for added privacy. Stunning contemporary farm style home. The main house was completely rebuilt from the ground up. Beautifully integrating the indoor/outdoor living spaces with bi-fold doors at the front off the generous living area and from the kitchen leading out to your backyard. The office could be a 4th bedroom. Styled to impress the most discerning of buyers with modern must haves such as a Google Smart Home, Nest system, tank-less water heater, central air and heat as well as Anderson All Clad windows. Gorgeous wide plank flooring, open concept living area with vaulted ceiling and fireplace. The gourmet kitchen is bound to please any culinary aficionado with top of the line stainless steel Jenn Air appliances that include a dual fuel six burner gas range, large center island adorned with designer pendants , sleek custom cabinetry and floating rustic wood shelves. The ultimate private getaway is your master suite with vaulted open beam ceiling, a large walk-in closet fully furnished with custom built-ins, and a spa inspired bath with dual vanity, standalone contemporary tub and open shower concept. Bi-fold doors lead to the outside deck furnished with a built-in fire-pit ideal for intimate gatherings or to enjoy a glass of wine after a long day. The finished garage is dual purpose and almost too nice to park a car in! Access to the coveted El Marino Elementary School." "Discover a home that exudes charm and character - from arched entryways to beautiful wood floors and classic wood windows, this house offers elegance, privacy, and a wonderful location. The newly remodeled kitchen includes stainless steel appliances, elegant tile, cupboards and counter tops. This 1928 Spanish home is located moments away from awarding winning restaurants, shopping, theaters, Expo Line, Platform, the Ivy Station development and the excellent Culver City School District. Outside, a wall of ficus trees provides privacy and beauty. The driveway leads to a detached garage. A wonderful, bonus feature of this property is the fully permitted guest unit, with its own private yard. A perfect setup for guests - or generate an additional source of income! First Open Houses Saturday (4/27) 2-5pm and Sunday (4/28) 2-5pm." 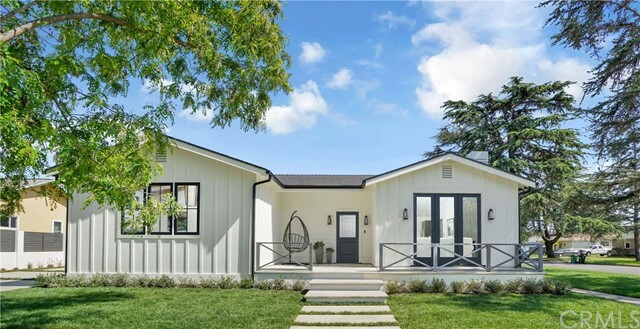 "This new construction Farm House is located in the El Marino Elementary School District and central to Venice, Downtown Culver City and Santa Monica. Downstairs this charming home enjoys a grassy fenced in front yard, open floor plan, amazing kitchen, office/bedroom and gorgeous sliding doors opening to a grassy backyard. Upstairs is your luxury Master suite with incredible bath, balcony and walk-in closet, 2 bedrooms each with private baths and a laundry room. This is incredible family home is located on a cul-de-sac. The detached garage has been finished and can be used for work or play." "OPPORTUNITY KNOCKS!! INVESTORS, DEVELOPERS, & BUYERS LOOKING FOR A TRUE INVESTYMENT IN THE HIGHLY SOUGHT AFTER CULVER CITY TOP RATED SCHOOL DISTRICT! 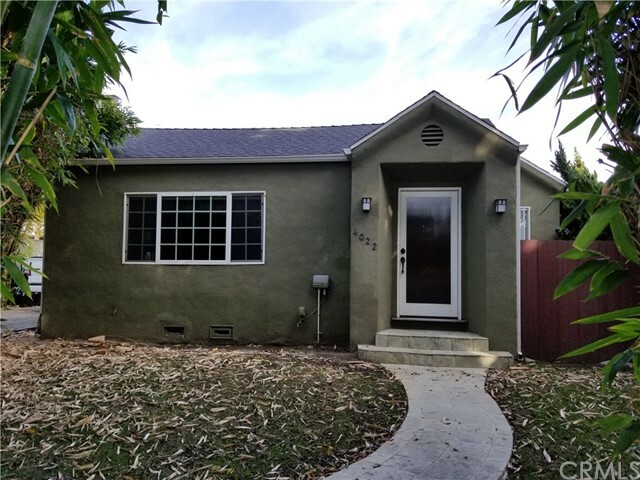 This is a gorgeous renovated home on a RARE CULVER CITY R4 ZONED LOT. This 3 bedroom 2 bath home has been wonderfully loved and cared for with a spacious kitchen with granite counter tops and custom wood cabinetry. Beautifully remodeled master suite and elegant bathroom, spacious bedrooms, gleaming hardwood floors, and crown moldings throughout the home. Relax in the lush backyard with many fruit trees. Dual-pane windows and added bonus room/office w/ a 3/4 bath. Detached 2-car garage is finished w/ private entry, window, and 3/4 bath. Take this opportunity to own and create additional income with multiple units or develope brand new condos/apartments in this high demand area. Centrally located near freeways, shopping, dining and entertainment with the beautiful beaches of Playa Del Rey and Marina Del Rey just minutes away!" "This home is a private and sun-filled oasis in Culver City's Blair Hills. It's a two-story home with mid-century modern details throughout. You enter the home on the second story where you are greeted by warm natural wood floors that lead you into a large living room. In the room's center is a beautiful original two-sided flagstone fireplace. On this level you will also find the three bedrooms, two full custom bathrooms and an exquisitely designed wood-paneled office. Two of the bedrooms have Juliet balconies that overlook the Los Angeles basin and the private courtyard below. The kitchen is also on this level with a large open plan and room for a dining nook. Several glass French doors open to a lush outdoor entertaining area. Moving down the interior staircase brings you into a giant media and game room with it's own half bath."